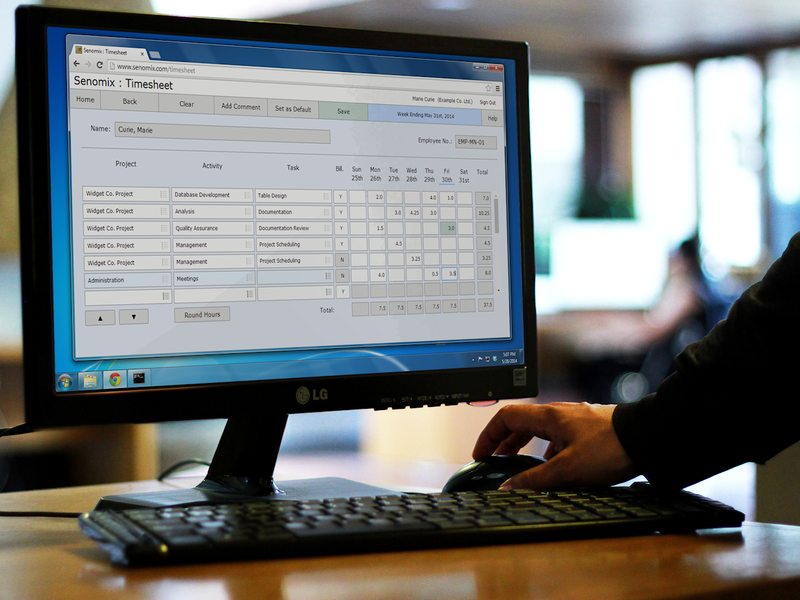 Senomix streamlines your office's time collection, billing, and work analysis to lower your administrative costs. Put an end to chasing emailed spreadsheets by automating your time tracking with an easy, employee-friendly system you can start using in minutes. and find out how time is spent at your office. 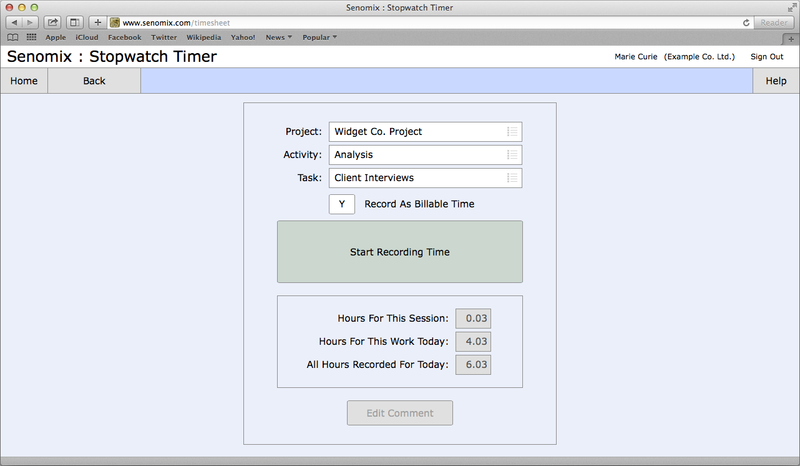 Simplify your effort recording with a Mac time tracker which delivers the answers your office needs. 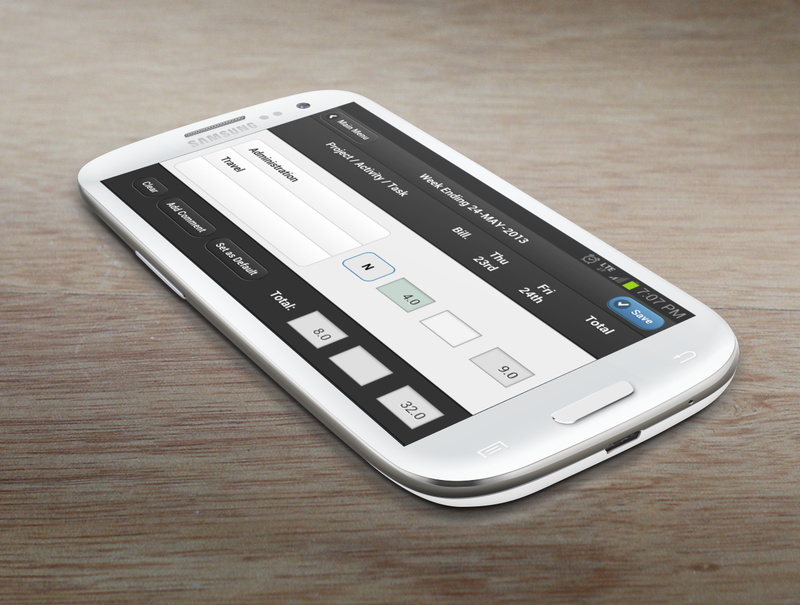 Senomix Timesheets is ready to work with your office tools to simplify your effort tracking. 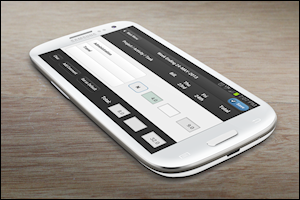 The new stopwatch function makes time tracking a snap and has actually increased our revenue by capturing time we had previously missed for billing. Timesheet templates can be created to consolidate the tasks used for your various project structures, and employees can create a personal template to pre-fill their weekly time card. Available for Windows, Mac OS X, iPad, iPhone and Android, Senomix provides time tracking software for all-Mac, all-Windows or mixed Mac and PC environments, giving you a simple tool for tracking employee time in the office or on the road. 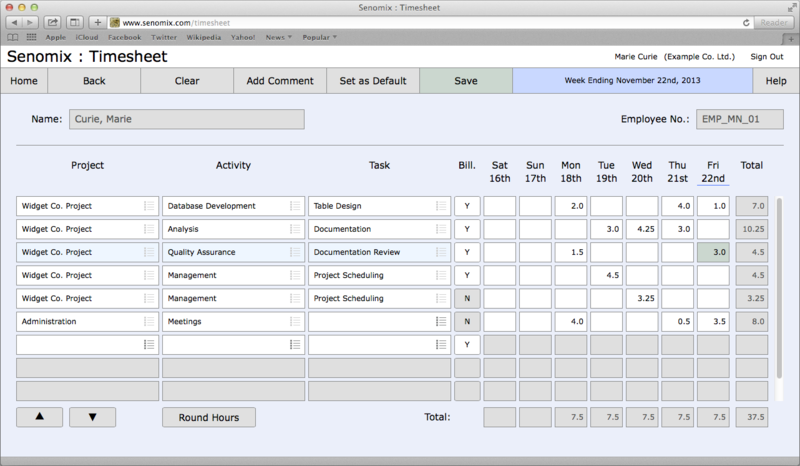 Senomix Timesheets solves the challenge of accurate employee time tracking by placing a time and expense collection program on each office computer. 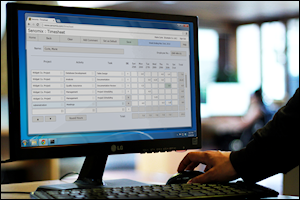 Ready to work with Microsoft Excel and your office's QuickBooks or database accounting software, Senomix Timesheets is a Mac time tracker which can be used on its own or as a streamlined front-end for your billing and payroll process. If your office data retention and privacy policies require your data to be held in-house, a self-installed system will allow you to install your Senomix server and database on your own office network. Both the cloud-hosted and self-installed options have the same pricing and priority support, and both are networked to deliver all data to one place. 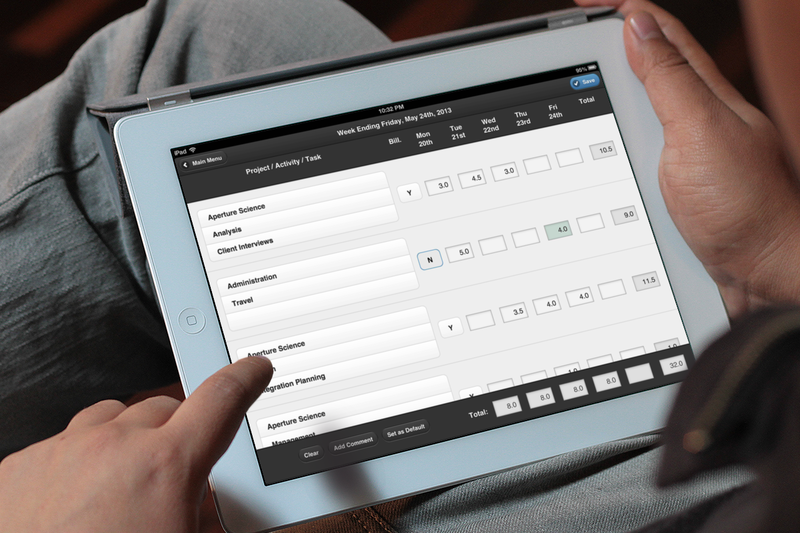 Whichever your choice, Senomix Timesheets streamlines your billing and payroll process while freeing your staff to focus on their work.